Gift this Pretty Premium Yoga Mat to your loved ones and spread happiness. 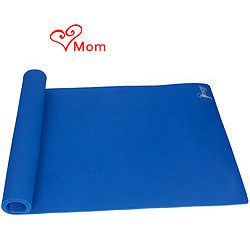 This Yoga Mat is Odor and Smell Free and comes with the feature of Superior Shock Absorption. It is also water resistant and made of EVA foam.